CEDAR RAPIDS, Iowa. 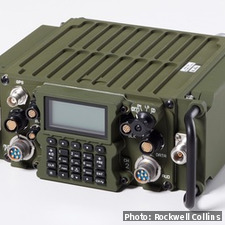 Rockwell Collins reports that its AN/PRC-162(V)1 software-defined radio (SDR) is now the first tactical ground radio to pass one of the critical tests needed to meet the security requirements required for operation with the Department of Defense (DoD) final version of the Mobile User Objective System (MUOS). The U.S. Navy Space and Naval Warfare Systems Command (SPAWAR) performed the testing -- known as Do No Harm (DNH) -- on the AN/PRC-162 by using the most current version of the MUOS waveform. This waveform, a generational advancement over today’s UHF SATCOM communications, will enable military forces to communicate crystal-clear voice, video, and mission data over a worldwide, secure high-speed Internet Protocol-based system. 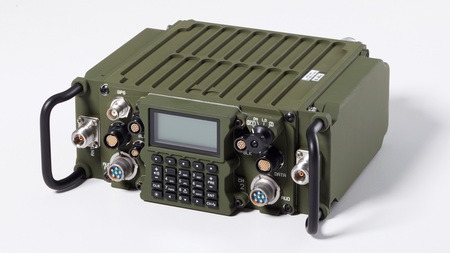 MUOS will also enable connection into the DoD's Global Information Grid and the Defense Switched Network, and has been successfully tested to distribute Integrated Broadcast Service (IBS) messages.